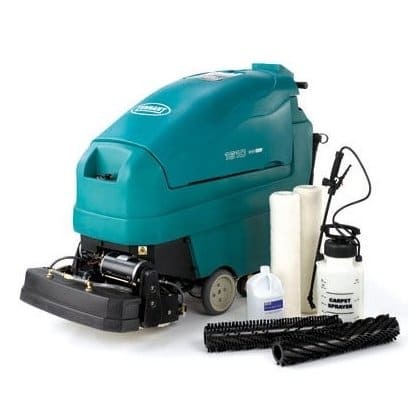 The Tennant 1610 is a dual technology carpet cleaner able to perform both frequent and restorative cleaning. 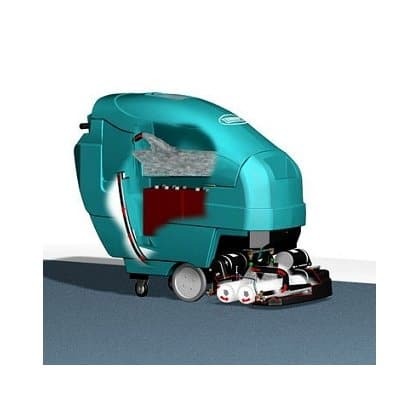 This machine is equipped with ReadySpace® technology. 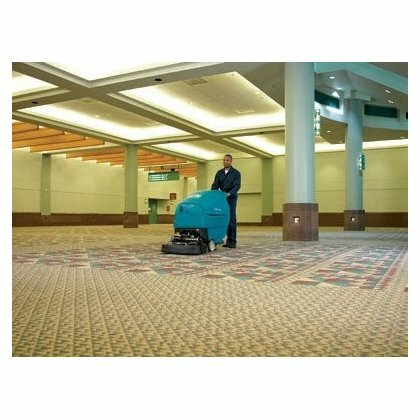 Carpets cleaned with 1610’s ReadySpace® technology are dry and ready for foot traffic in less than 30 minutes. 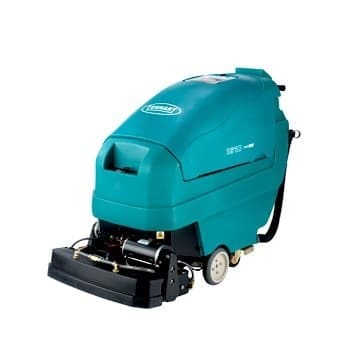 For periodic restorative cleaning, the 1610 delivers unsurpassed extraction performance. 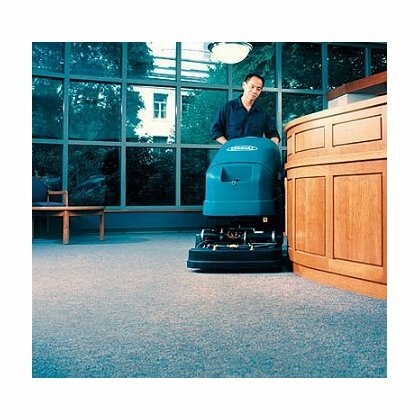 ReadySpace® technology removes soil before it becomes deeply embedded, leaving carpets cleaner over time and making extraction easier. A. 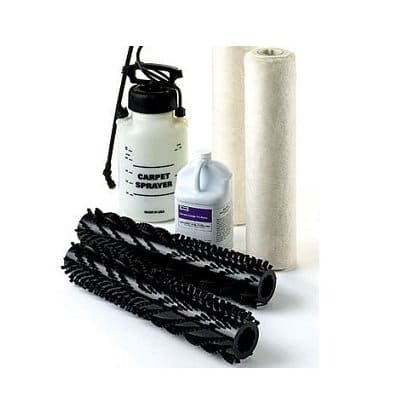 Unique soil-transfer rollers are the basis for ReadySpace®. 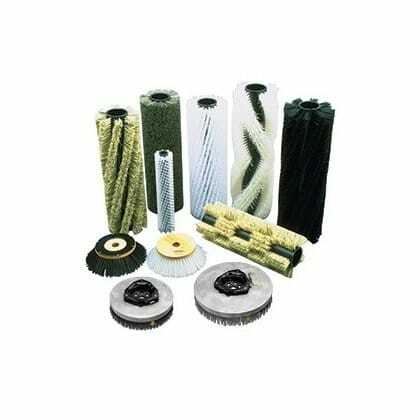 When damp, these fabric rollers grab dirt from carpet fibres and lift it into the machine. B. 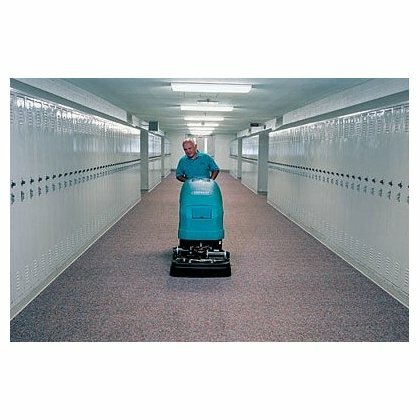 Inside, sprayers rinse soil from the rollers, not the carpet. 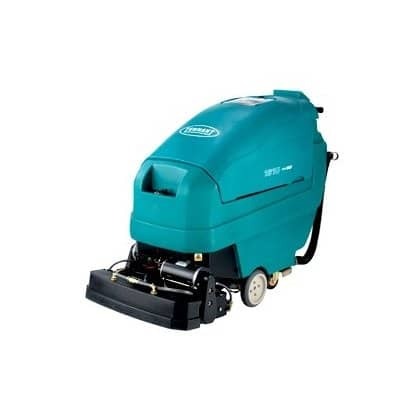 C. Two powerful individual vacuum shoes extract the dirty water into the recovery tank. 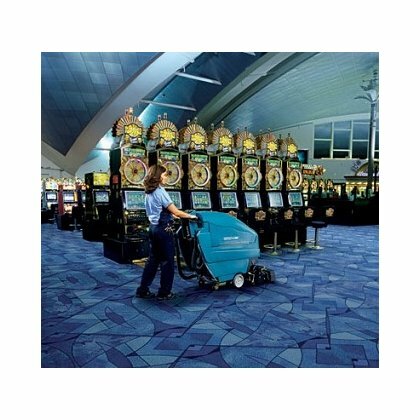 Because the carpet itself is never saturated, ReadySpace® technology drastically reduces dry time. 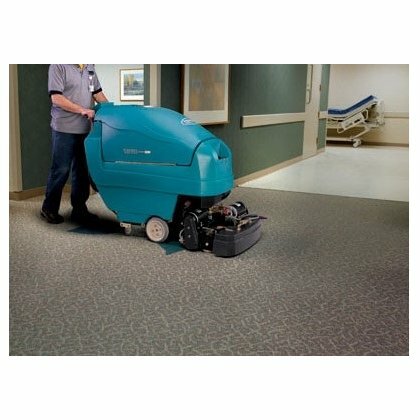 In addition, less water usage virtually eliminates wick-back and minimizes odours and molds in the carpet. 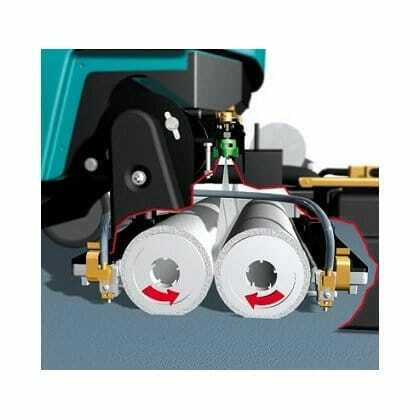 Double agitation and counter-rotation separate more soil from both the front and back of carpet fibres, all in one machine pass. 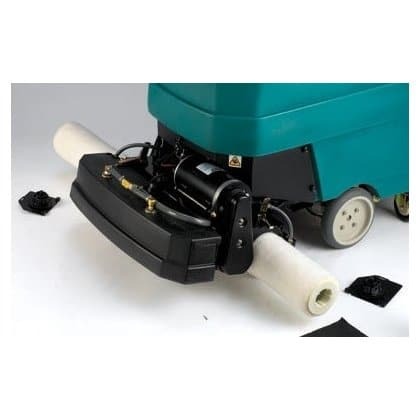 More power means more dirt and debris is extracted out of the carpet and disposed in the recovery tank.